There arguably would never have been a good moment for Berlin to renege on its planned increase in defense spending. But to do it in the run-up to NATO celebrating its 70th anniversary in Washington is particularly bad timing. While Washington had grudgingly accepted Berlin's explanation that it could not meet NATO's goal that members spend 2 percent of their gross domestic product on defense by 2024, Germany's latest projection that it now won't even meet the 1.5 percent mark it set itself was met with dismay. "There is very little understanding in the United States, quite frankly — whether among Republicans or Democrats — for the German government's reluctance to meet the 2 percent of the GDP spending target," said Jeff Rathke, president of the American Institute for Contemporary Studies at Johns Hopkins University, "and even less understanding for the current wobbliness with respect to the 1.5 percent of GDP target which Chancellor Merkel and other German leaders just a few months ago affirmed." Republican Senator Rand Paul, a member of the foreign relations committee, lashed out on Twitter at Berlin's projected military spending, writing that "Germany expects the US to pay for their defense." President Donald Trump, who has repeatedly criticized Germany's defense spending, has not yet publicly weighed in on the issue, but that could still happen in the coming days, for instance when he is scheduled to meet NATO Secretary-General Jens Stoltenberg on Tuesday, said Karen Donfried, president of the German Marshall Fund. "I am sure this issue will come up," she said. "And we have seen Jens Stoltenberg be very effective in making the case that European defense spending is increasing. And in fact, the president mentioned NATO in a positive light in the state of the union address on that point of the allies spending more. So that becomes a little bit difficult when Europe's largest economy, Germany, isn't going to make forward progress on that goal." What's more, Germany's latest defense spending numbers provide fodder for critics inside and outside of the White House who question the country's commitment to NATO and the usefulness of the alliance itself. "I think to some extent it plays into the hands of folks who have been on the kind of far end of the spectrum and who have this narrative of Europe as our foes and that the Europeans are a bunch of free-riders," said Andrea Kendall-Taylor, director of the Transatlantic Security Program at the Center for a New American Security. On the whole, Germany, and the role it plays as a key US ally in Europe and beyond, still enjoys broad support from both Republican and Democratic lawmakers in Congress, noted the scholars. But the move threatens to chip away at the public perception that Germany is a reliable player at a time when trans-Atlantic ties are challenged by a US president who is deeply skeptical about Washington's European allies and especially Germany. "It is not a good idea to put at risk the strong bipartisan consensus in the United States in support of NATO," said Rathke. Donfried and Rathke, both deeply familiar with German domestic politics, acknowledge that internal partisan wrangling and positioning inside the country's grand coalition government explain part of the move, especially with European Parliament and state elections looming in a country where Trump is highly unpopular. They also appreciate Berlin's argument that its contribution to NATO and international security should not only measured by its percentage-based defense spending increases. Still, they contend that does not suffice as an explanation — neither from a German nor from a US perspective. "We can explain the domestic politics, but I still think that that does not excuse Germany from not fulfilling things it has publicly committed itself to," said Donfried. 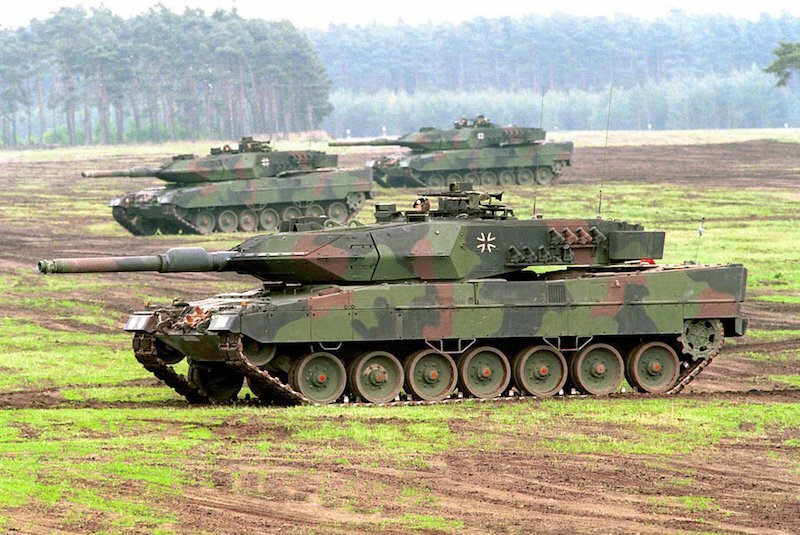 "So even those of us who consider themselves as strong friends of Germany feel that it's important, again for Germany, to make that investment in its military." Complicating matters further, Berlin's defense spending is only the latest among a range of contested issues between the US and German governments: President Trump's threat to impose tariffs on German cars, US opposition against the planned Nord Stream 2 pipeline and against allowing Chinese telecoms giant Huawei to build Germany's new 5G network — all have increased the friction between Washington and Berlin. However, what the US observers of German politics find particularly disappointing is that Berlin, more than two years into Trump's term, is still grappling with what his presidency means in practical terms for Germany's foreign and security policy, said Kendall-Taylor. "I think it underscores this dynamic where we see Germany kind of flounder in its efforts to define a path forward," she said. "So Germany and Germans have articulated that they want greater autonomy from the United States and yet they are unwilling to invest in the capacity that greater autonomy would require."